Crosspool Forum is looking for nominations for the 2017 community award, or Crosspool Person of the Year as it is known. The award was set up in 2013 to acknowledge commitment, accomplishment and achievement by individuals in the neighbourhood. Nominate someone by filling in the form below. 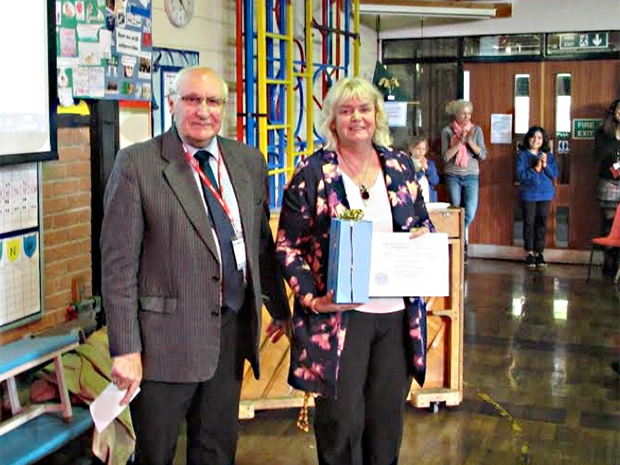 Previous winners of the award have included retired Lydgate Junior School headteacher Sue Havenhand, Crosspool Forum chair Ian Hague and deputy chair Steve Reynolds. In 2016 Glenda de Brouwer picked up the award for her leadership of the Beavers group and her work as a teacher at Lydgate Junior School. This entry was posted in crosspool and tagged crosspool community award, crosspool person of the year. Bookmark the permalink.